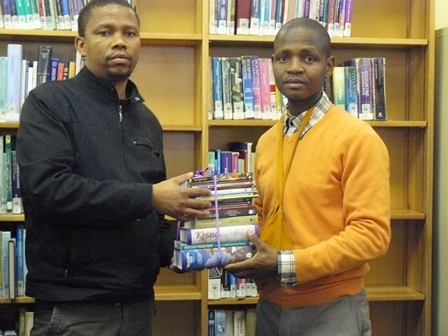 By the divine causeless mercy of Srila Prabhupada and the Vaisnavas, 3 Medium Sets were delivered to 3 libraries in Mafikeng. This is a humble attempt to assist an African Preaching centre who are striving to serve Sri Chaitanya Mahaprabhu’s mission. We are deeply indebted to Jayadeva Prabhu and Narottama Prabhus for their kind interaction with the libraries and for delivering the books to the libraries. We pray to Srila Prabhupada that these books will be read by hundreds of persons for decades to come.